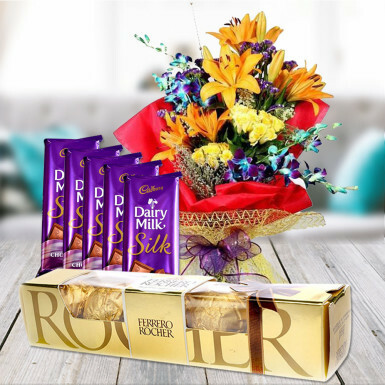 Want to surprise your loved ones with a special gift hamper? 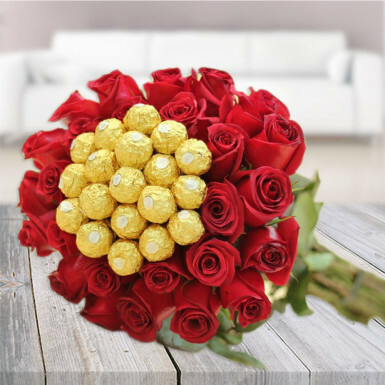 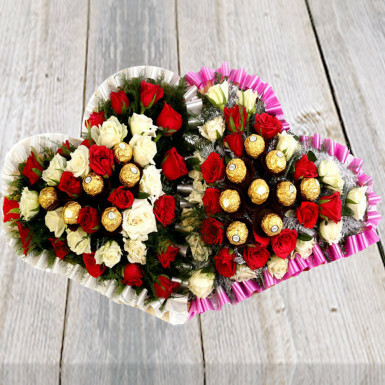 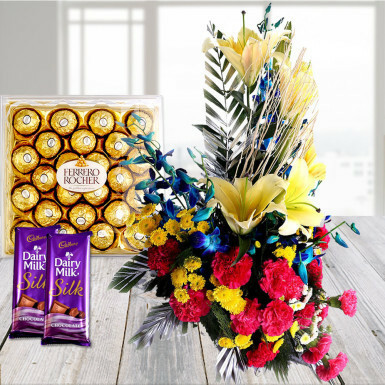 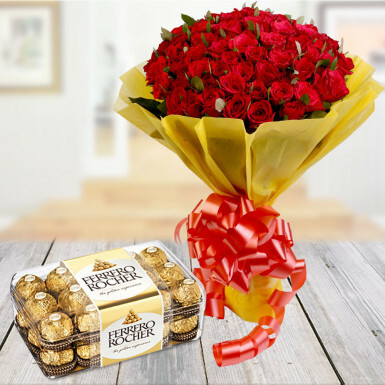 Be it their birthdays or any other occasions, you can present this hamper to show your love. 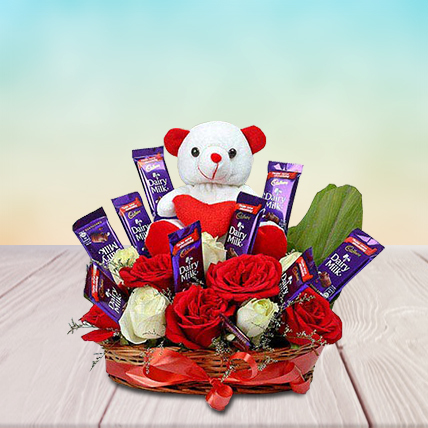 It contains a cute teddy bear, white and red roses and cadbury dairy milk chocolates in a cane basket. 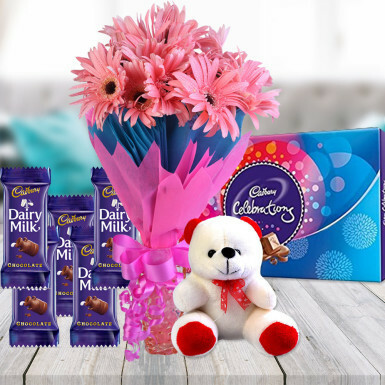 It includes Teddy Bear (Height 6 inches), Red Roses - 5, White Roses - 5, 10 Cadbury Dairy Milk Chocolates - each rs.10, Cane Basket.